"A Smoky Hideaway," a 1-bedroom cabin rental near the Smoky Mountains National Park, provides a 1-level cabin perfect for honeymooners and families seeking an affordable Smokies cabin vacation just minutes from Dollywood and downtown Pigeon Forge! 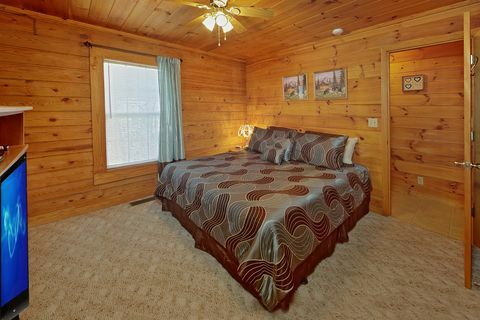 This Smoky Mountains cabin rental's cozy, wooded Smoky Mountains setting creates a tranquil, soothing atmosphere and boasts many plush amenities. 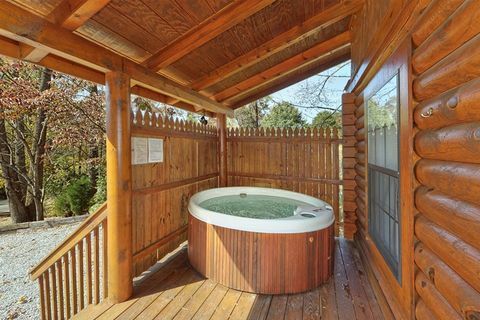 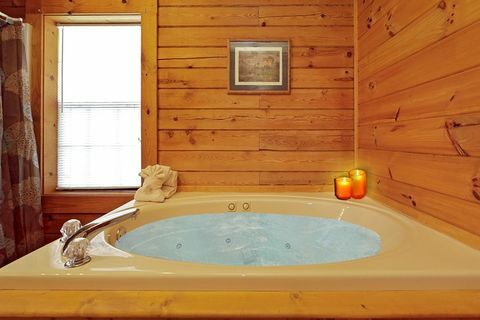 Watch your worries wash away in the warm waters of the cabin's hot tub or jacuzzi tub for two. 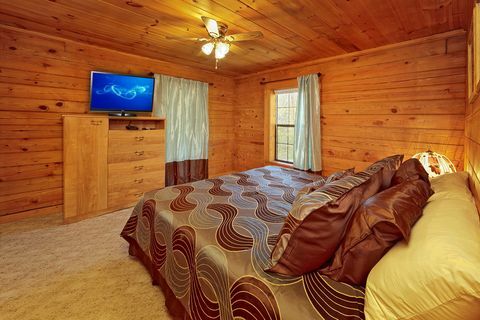 Stretch out and unwind in the cabin's king size bed. 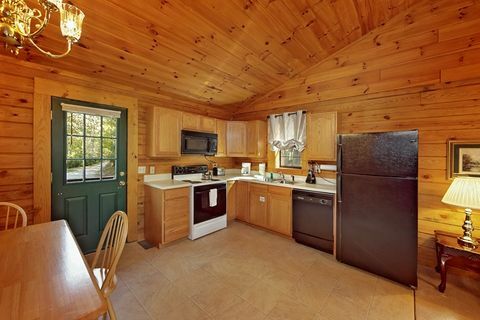 Make a couple of cups of apple cider or hot chocolate in the cabin's fully equipped kitchen and cuddle up by the glow of the gas log fireplace. 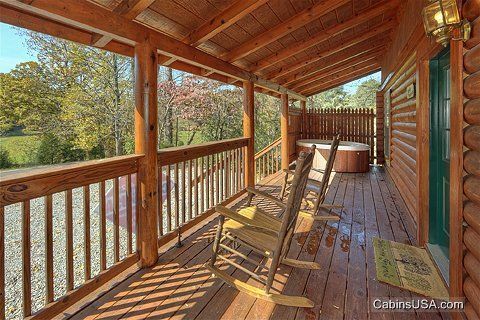 Host a hamburger cookout with the charcoal grill and enjoy the mouthwatering results while sitting in the deck's rockers. 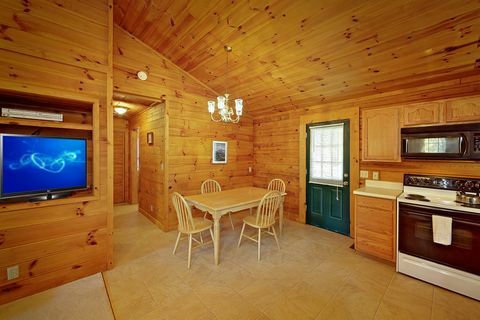 Share pictures of your mountain adventures on Instagram or Facebook with the cabin's free wireless Internet. 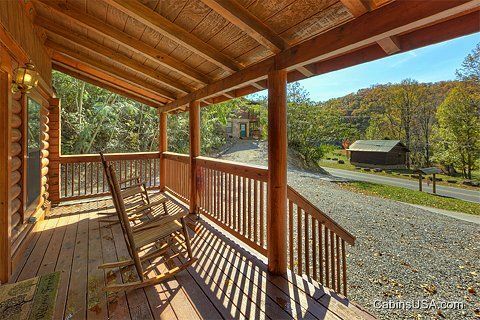 Looking to share your Smoky Mountains cabin vacation with friends or family? 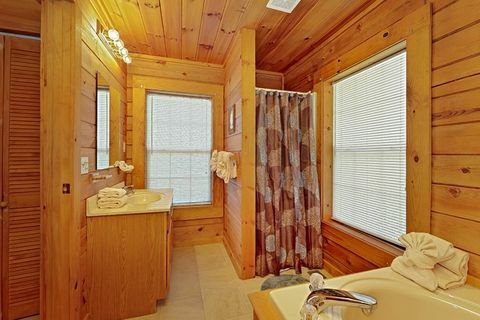 "A Smoky Hideaway" isn't Cabin USA's only cabin rental near Smoky Mountains National Park! 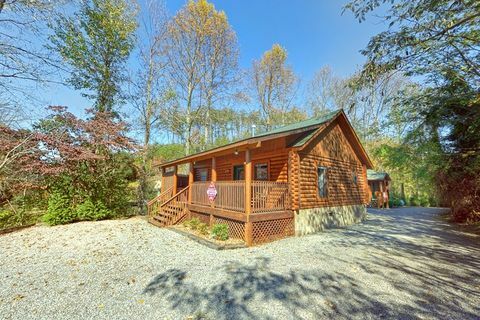 "A Romantic Retreat," "A Peaceful Getaway," and "A Mountain Escape" create an ideal grouping of cabin accommodations within walking distance from your cabin! 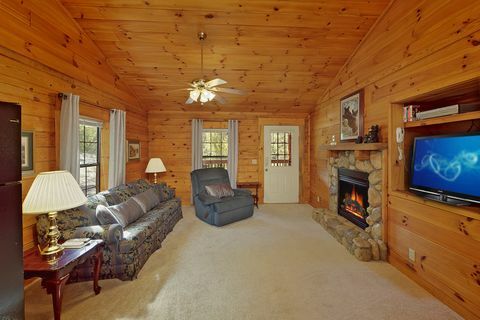 Get started on planning your Smokies cabin vacation! 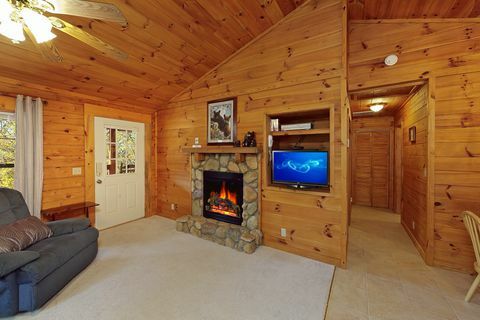 Book "A Smoky Hideaway," your charming Smoky Mountains cabin rental, online and get an immediate Cabin Discount!